Glasses provide more than vision correction. Glasses are a fashion statement. Gone are the days of four-eyed geeks embarrassed by their new specs. Like many accessories and articles of clothing, you may find a certain style of eyewear that suits your look, and you probably want to have more than one pair so you can switch it up. Choosing eyeglass frames is a personal decision, but the opticians at Rosen Optometry reveal a few tips for how they help clients narrow down their options from among the thousands of pairs available at our optical in St. Louis. The most important factor in choosing glasses is to make sure they fit your face properly and work with your prescription. Regardless of the frames you choose, our trained opticians will make sure you try them on and tweak any adjustments before you leave so that your vision correction is optimal. As eye care professionals, your eye doctor or the optician at Rosen Optometry will also let you know if your prescription requires limiting your frame styles. Eyeglasses frames can flatter your face and enhance your features. We are standing by to offer assistance and some personal advice, but here is a guide to get you started. First, consider how the shape of your new glasses compliments the shape of your face. You can also think about how your hair color and complexion play a role in your choice. Frame material and design details can further define your look or represent your mood; you can opt for a frame that looks more sporty, academic or trendy. For now, let’s talk about shape. Do you know what shaped face you have? Everyone’s face is unique, but there are 7 basic shapes that stylists work with when considering faces and fashions. What eyewear frames are the most flattering for your face? Oval. If you have an oval face, which is symmetrical, and longer than it is wide, you will probably look great in almost any pair of eyeglasses. Lucky you. Square. For the strong jaw and wide forehead square-shaped faces, your facial proportions are balanced. Go for a frame that softens the angles of your face, like a round or oval pair of glasses. A slightly curved frame can add depth and a narrow pair will provide balance for your facial structure and highlight your features. Round. People with rounded faces have soft foreheads and chins, with no angles. Ideal glasses for a round face will add angles and definition. 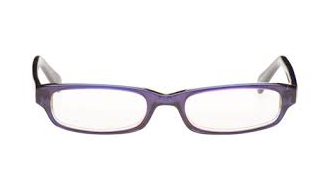 Frames that are rectangular can balance the softness of the face. Strong colors are also a good choice. Triangle. Triangle faces are characterized by narrow chins and wide foreheads. Frame designs that draw the eye toward the top are often a great choice. Cat-eye or semi-rimless glasses are flattering. Heart. With cheekbones that are wide and a chin that is narrow, many consider a heart shaped face just lovely. Heart-shaped faces are flattered by smaller frame styles with a lower set temple and a simple design. Try aviator, square or rectangular frames – they all work well with a heart face. Oblong. Similar to oval, faces that are oblong will be longer than they are wide, but with a more squared-off chin. Details on the temples are ideal for oblong faces, and they look good with rectangular, square or round eyewear. 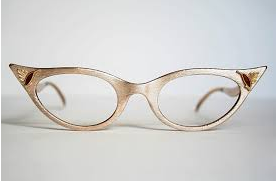 Look for frames that add width to counterbalance the length of the face. Diamond. Faces that are narrow at the forehead and the chin are said to be diamond shaped. Eyeglasses that suit diamond faces best are those that draw attention to the top of the eyes with highly decorative designs or cat-eye styles. Now you have a headstart in choosing your eyewear. In St. Louis or the surrounding areas? Come try on glasses at Rosen Optometry.